I spent all day yesterday making these FANTASTIC soaps!!! They will be available for purchase at the Hester Street Indoor Market that you all will be coming to. 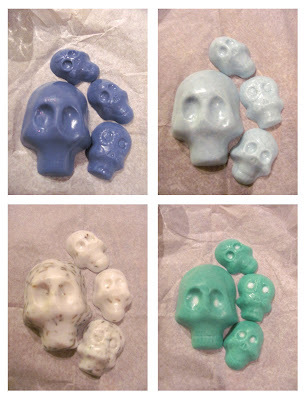 Each soap set includes one big skull and three mini skulls. The scents are: peppermint, lavender, sandalwood and eucalyptus. 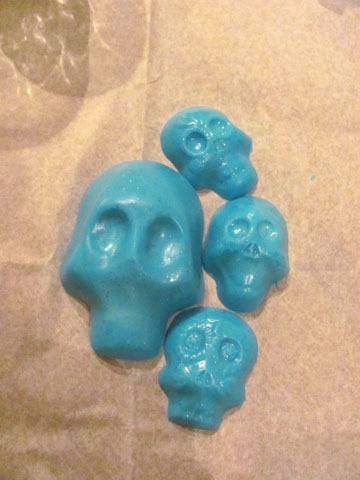 The soap is made from a Shea butter base that I have used before here. 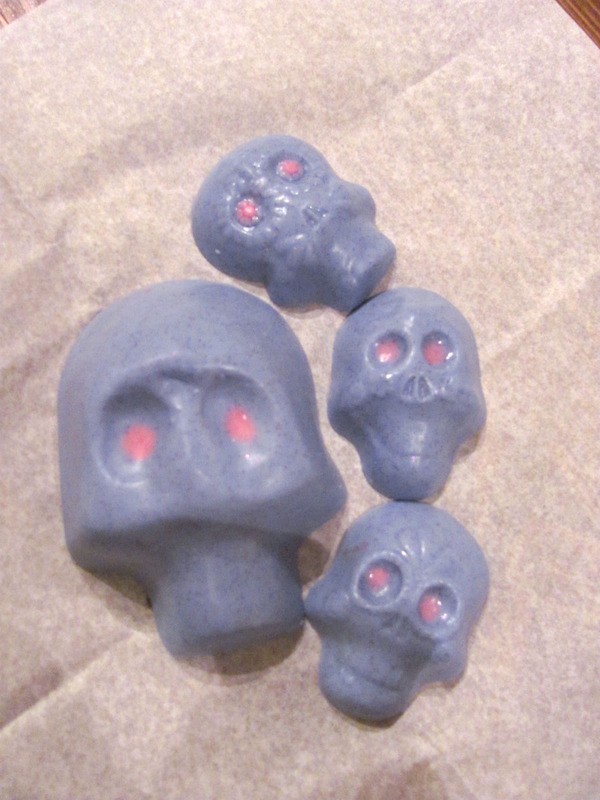 The molds are from when we made Sugar Skulls in Maryland for my birthday weekend. 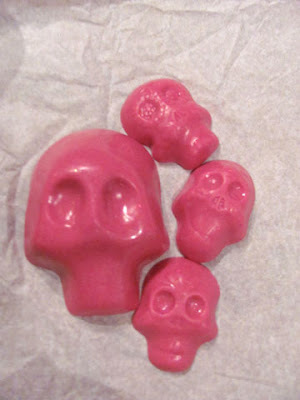 My uncle bought them to make real sugar skulls and I have been trying to find other uses for them. The molds are A LOT more effective with the soap because you can see more detail in them than you could with the sugar. Maybe I'll make some chocolates next!! Oooh I love the look of the pre-mix. Those soaps are fantastic! I LIKE IT TOO! DID U GET THAT IDEA FROM UNCLE KENS SUGAR SKULLS?